This procedure has been tested with the latest version of Proxmox VE 1.9 and it’s still working ! 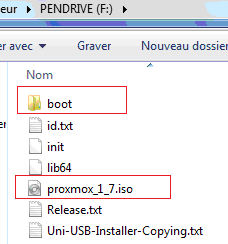 In one of my previouspost about ProxMox VE , I mentioned that “at the moment” it is not possible to perform a ProxMox VE installation from a bootable usb sitck. Up to Version 1.7, there is no support for installing from a USB thumbdrive. This is quite disappointing ! Especially when you know that Vmware or Hyper-V can be installed quite easily from a USB Stick…. I came across this limitation during the re-installation of a test environment. 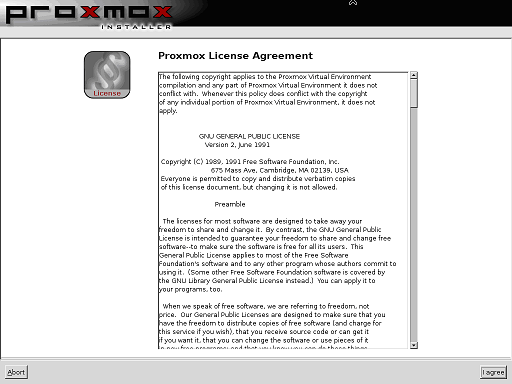 I didn’t want to burn a new cdrom from the the ProxMox VE iso image. So, I thought that by using utility such as unetbootin, I would transfer the ISO image into a bootable USB Stick and perform the installation from the USB… Well not quite ! 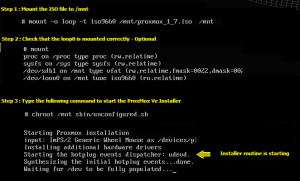 The USB drive will boot without any problem but the ProxMox VE installer will not start and your system will reboot… This behavior can be explained by the fact that the script used by the ProxMox VE installer checks only for CDROM devices. 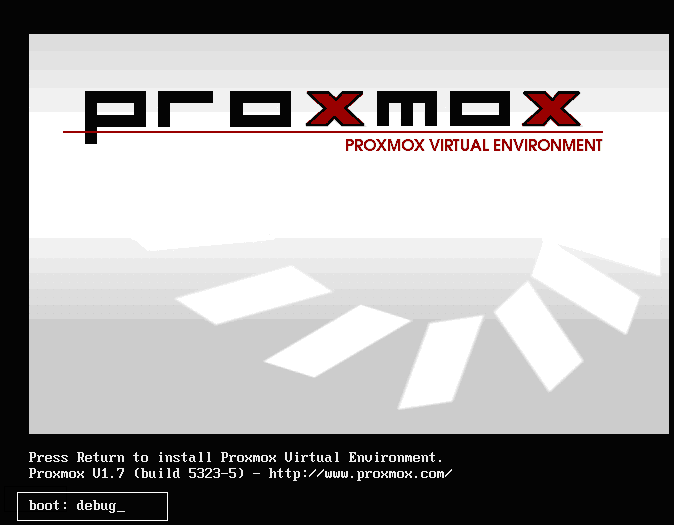 More information about this can be found on the ProxMox VE forums (see these links http://forum.proxmox.com/threads/4941-Install-Proxmox-VE-from-a-flash-disk ; http://forum.proxmox.com/threads/2932-proxmox-install-from-usb ; http://forum.proxmox.com/threads/1896-USB-Installation). At this point, we just need to find a way to have the system launching the setup routine even if no CDROM devices are detected. Let’s try doing this right now ! Installing ProxMox VE from a USB Stick – Yes, you can ! 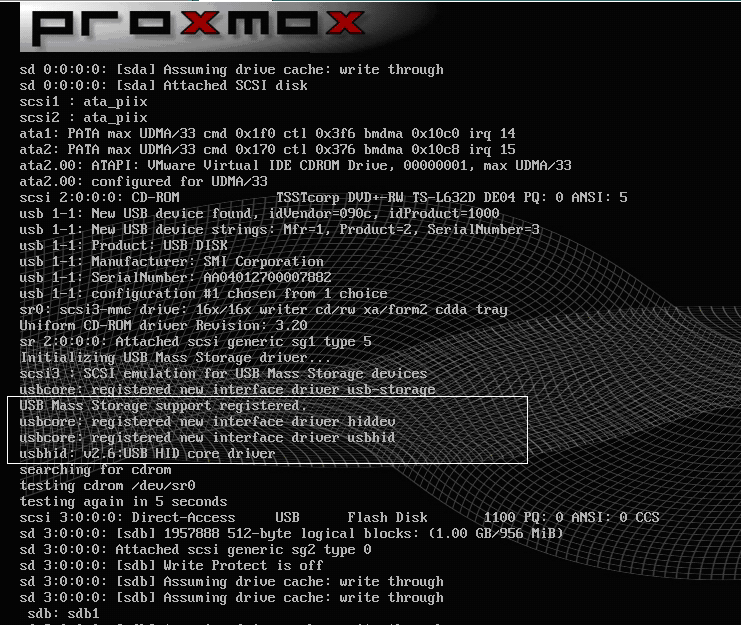 After some tests (try and errors), I succeeded ( on 2 differents hardware configuration) to start the ProxMox VE installation from a USB Stick ! 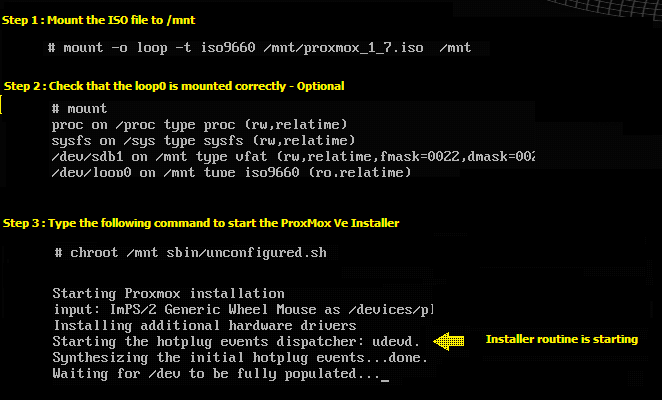 To perform the installation from the usb stick, you need to manually enter some commands from the terminal session. 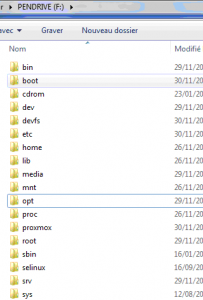 It might be possible to modify the init file and include the missing code to have the installer detecting USB devices and perform the installation from a USB Stick. But I think that the Team behind the ProxMox VE will probably integrate such capabilities in the next release. This is the default file structure coming from the PROXMOX VE binaries. At that stage, you have access to a console where you can issue a set of commands. Based on the hardware configuration, the Usb Device can be identified by the system differently. 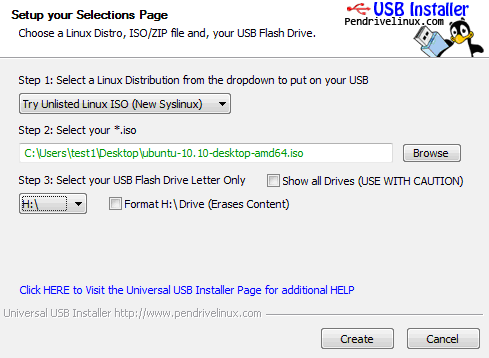 So, we will first need to identify how the usb device is recognized by the system. Because i have a limited set of command (I cannot use lsub), i’ll be using the old fdisk command. From the console, I’ll simply type fdisk -l.
This command will return the disks and partition available on the system. From the screenshot below, I know that my usb drive is mapped as /dev/sdb1 (because my usb is 1GB in size). In your computer, this might be a different mapping. On my other system, the usb drive is mapped to /dev/sdd1. So, please check ! Almost there….. We now need to issue 2 additional commands and we are ready to perform the installation of the ProxMox VE from our usb stick…. I use Win32DiskImager (https://sourceforge.net/projects/win32diskimager/) and its lot better ! – install standard way, do not use DEBUG mode anymore !!!!! !